MICHAEL J. McCANN was born and raised in Peterborough, Ontario, Canada. He earned a Bachelor of Arts (Hons.) with a major in English Literature from Trent University in Peterborough, and a Master of Arts in English from Queen's University in Kingston, ON. He served as Production Editor of Criminal Reports (Third Series) at Carswell Legal Publications (Western), where he was also Co-ordinator of Law Reports, before joining Canada Customs, now the Canada Border Services Agency. While at CBSA he was a training specialist, project officer, and national program manager before leaving public service to write novels full time. He now lives and writes in Oxford Station, Ontario. He is married to supernatural novelist Lynn L. Clark. They have one son, Timothy D. McCann. 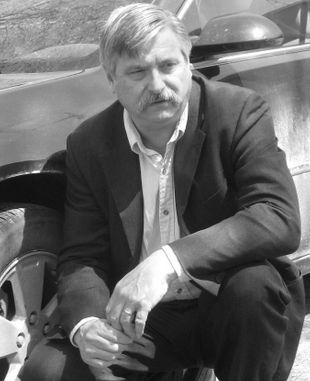 He is a member of the Crime Writers of Canada and the International Association of Crime Writers.